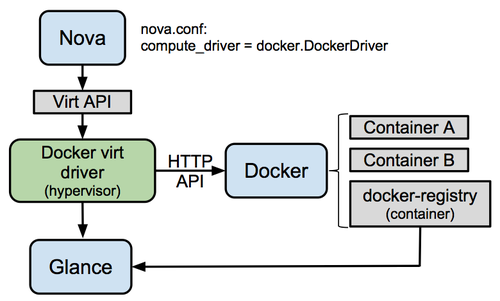 The first thing to note is that there are two ways to go about getting Docker to play with OpenStack: via Heat or via Nova and here are my notes on trying both out. Given that the initial OpenStack post on this topic recommends that the Heat way is preferred I first set out to get my existing Heat engine on Icehouse working with Docker containers. Google produces any number of results on how to get the two to play nice but I spent many futile hours until I stumbled upon Docker plug-in for OpenStack Heat that I found the crucial piece to the puzzle. So many thanks to Lars. One simple command got Docker installed and running. so the user that runs the Heat services can talk to Docker. Next I cloned the OpenStack Heat GitHub repo and following Lars’ instructions edited “heat/contrib/heat_docker/heat_docker/resources/docker_container.py” to patch the Docker plugin. Then I copied the plugin into /usr/lib/heat and restarted the heat-engine service. Running “heat resource-type-list” showed that the Docker resource type was successfully loaded. Time to try provisioning a simple sample HEAT template with a Docker container in it. When provisioned with “heat stack-create“, this pulls the “tutum/hello-world” image from the Docker registry and runs it, mapping the containers port 80 to a user specified port on the host. Since I didn’t specify the docker_endpoint parameter for the container, it will by default use Docker on the host. 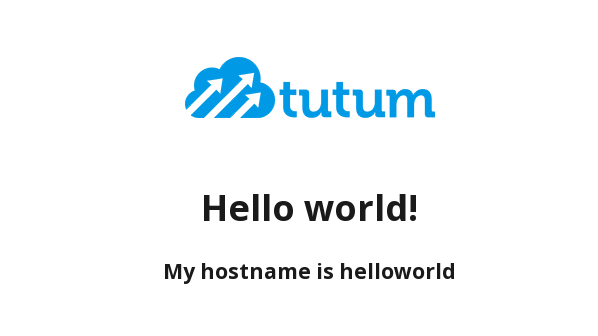 Though the first time it takes about a minute to pull the “tutum/hello-world” image, it takes about a second to get it up and running and serving up a static web page. I can see the image/container on the host via docker commands and heat shows the stack’s status, properties and outputs as specified in the template. Deleting the stack (heat stack-delete), also destroys the Docker container. The steps to set this up are in the OpenStack Docker Wiki and I followed them to install the plug-in into an all-in-one Devstack’ed Icehouse Ubuntu VM. Finally I restart the Nova Compute and Glance API services and everything should be good to go. 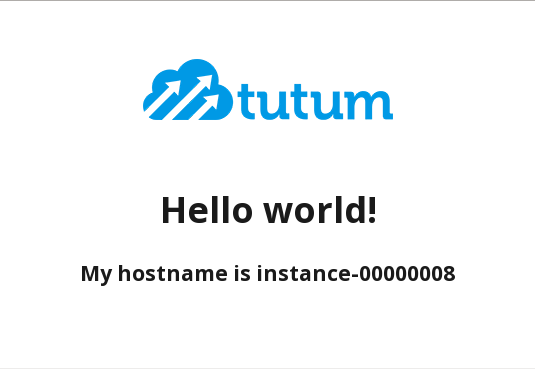 $ docker save "tutum/hello-world" | glance image-create --is-public=True --container-format=docker --disk-format=raw --name "tutum/hello-world"
Glance now has the Docker image that I can boot with Nova. It only takes a couple of seconds and the new “server” is up and running. So there we have it: two different ways of using Docker with Openstack. I’m not sure which one is “better” but I prefer using the first (Heat + Docker) approach as it just seems more “natural”. Since UCD+P uses Heat templates, that leads to the question of how UCD+P works with each of the above approaches. The answer to that will come in a future post.